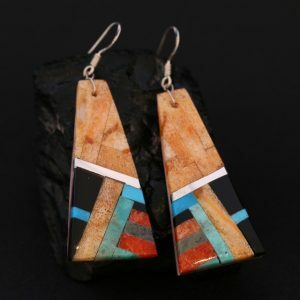 Flower earrings by Chris Pruitt, Laguna Pueblo/Chiricahua Apache. 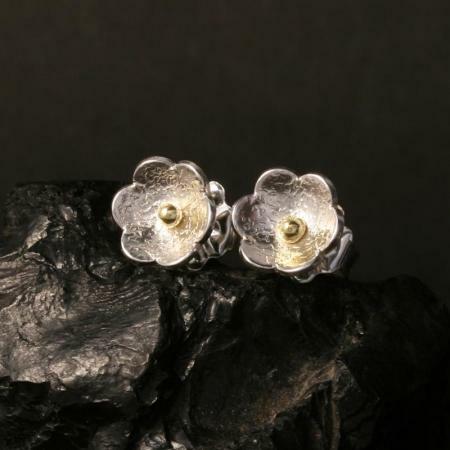 These flower studs are delightfully pretty. Expertly crafted from uniquely textured sterling silver with an 18k gold centre, each flower measures just 9mm in diameter. 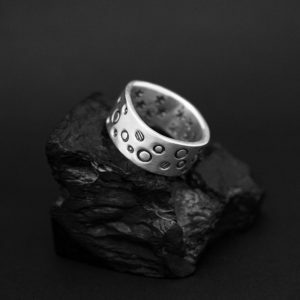 Perfect for anyone who prefers their earrings to be subtle but no less special.